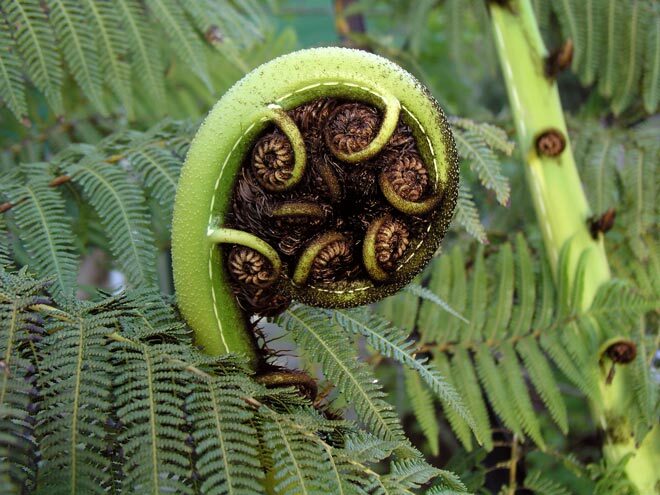 The koru, which is often used in Māori art as a symbol of creation, is based on the shape of an unfurling fern frond. Its circular shape conveys the idea of perpetual movement, and its inward coil suggests a return to the point of origin. The koru therefore symbolises the way in which life both changes and stays the same.